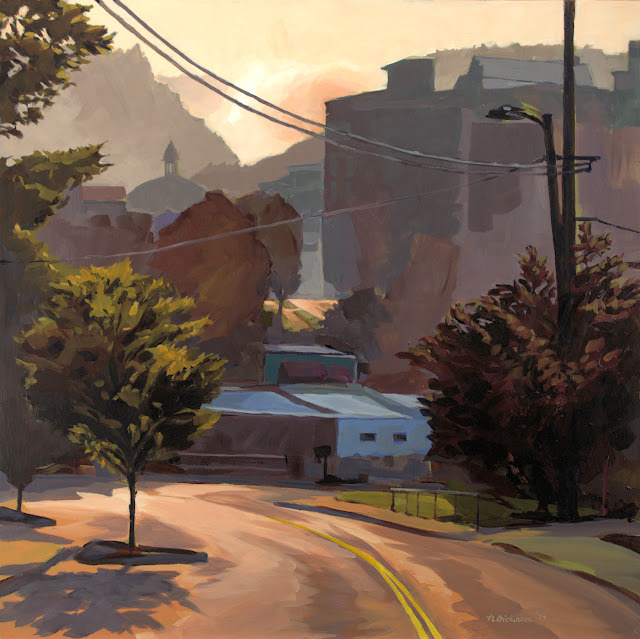 The first painting of my new home, Asheville, North Carolina. This weekend is the "Second Saturday" in the River Arts District here in Asheville, North Carolina. I'm holding an open studio at my space in the Galaxy Studios at 161 West Haywood, just down from White Duck Taco and across from Riverside Studios. If you happen to be in the area, come join us. 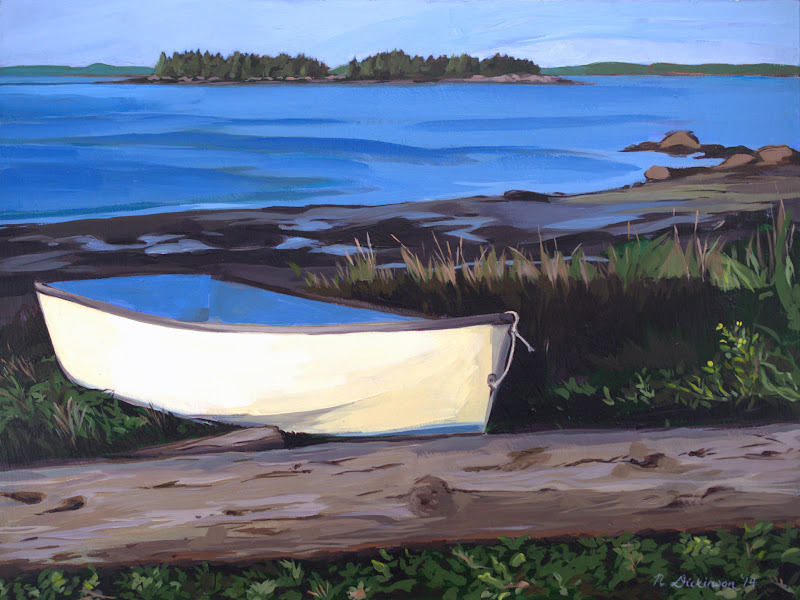 Here is a painting from this summer while I was up in Deer Isle. It's a view of Southeast Harbor from the Tennis Preserve. It's been nearly nine months since I posted, but I should be back in the saddle again. In the interim, we've sold our house and relocated to Asheville, North Carolina-- which is the main cause for the lapse of updates. I've rented a studio in the River Arts District here in Asheville, and am busily expanding my repertoire to include local subjects. This morning I finally broke out the camera and lights and photographed some of the paintings I have completed since the start of the year. 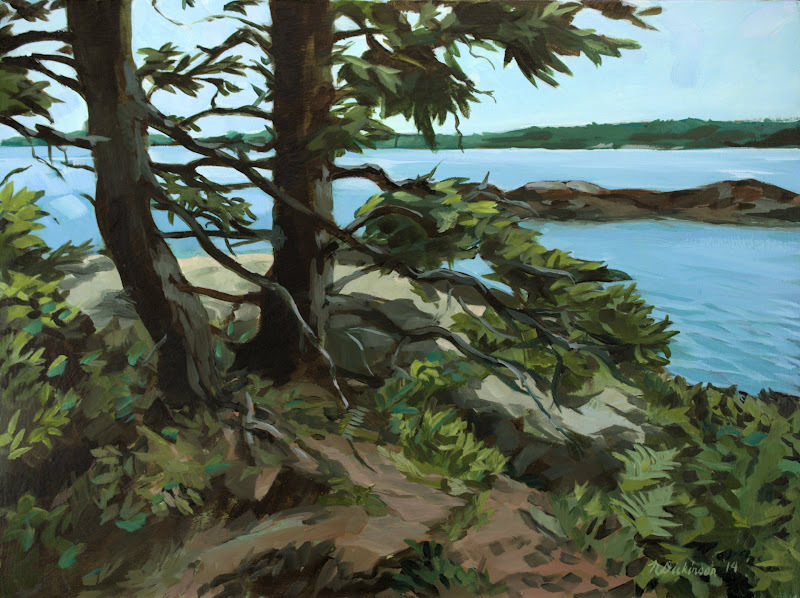 This is a painting of the coast of Little Deer Isle near Weed's Point in Maine. North Carolina Paintings are coming soon.